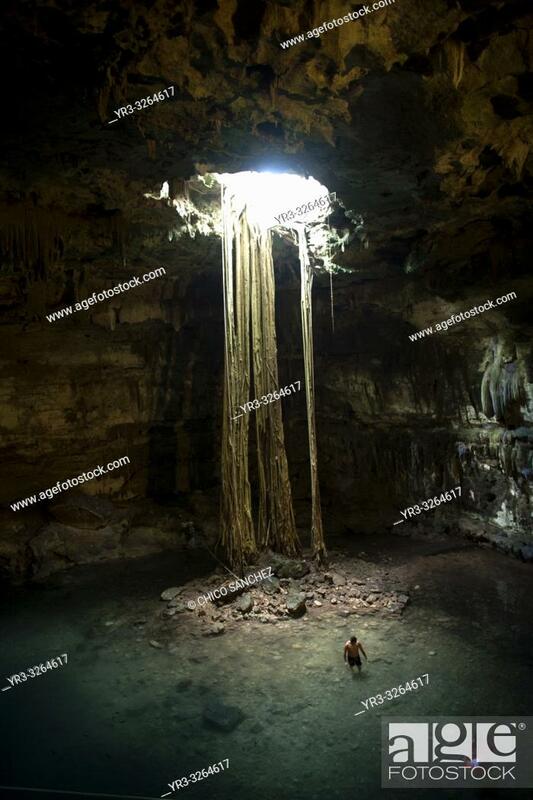 Foto de stock - A tourist swims in a cenote on Mexico's Yucatan peninsula. Cenotes are a geologic formation that characterizes the Yucatan Peninsula ... . This word is derived from the Mayan word, 'Dzonot' which means; sacred well. More specifically, the word cenote refers to a large natural sink hole whose limestone covering has caved in years ago to reveal the running stream below. While some of these structures are simply vertical shafts filled with water, others are composed of underwater passageways.